Fourteen individual counties make up the Finger Lakes Region. 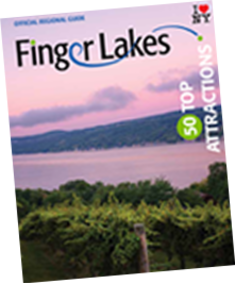 From small rural towns like Elmira, Geneseo, Lyons, Naples and Owego to the mid-size cities of Canandaigua, Corning and Ithaca, to the metropolises of Rochester and Syracuse, there is a size and city to fit every visitor and every interest. You’ll find information on our fourteen communities at the links below. Each one is home to a unique adventure and story. Visit one or make it a road trip and see them all! Once you decide, we suggest you contact the local tourism offices within these communities for more information, specials and packages, or help planning and booking your trip.